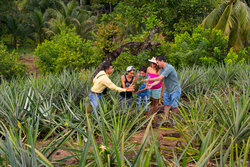 Get to know Guatemala through unique tours and activities designed to introduce you to the local area. We have something for everyone. Choose your preferred activity below for more information. This activity will take you through the natural reserve of the resort with an expert guide of the region. To make the most of the tour, each participant is provided with a pair of binoculars during the tour. The safety of each participant is of utmost important to us. Each participant is provided with a helmet to wear throughout the tour. * This activity requires a considerable amount of physical activity. We do not recommend this activity for visitors with walking difficulties. 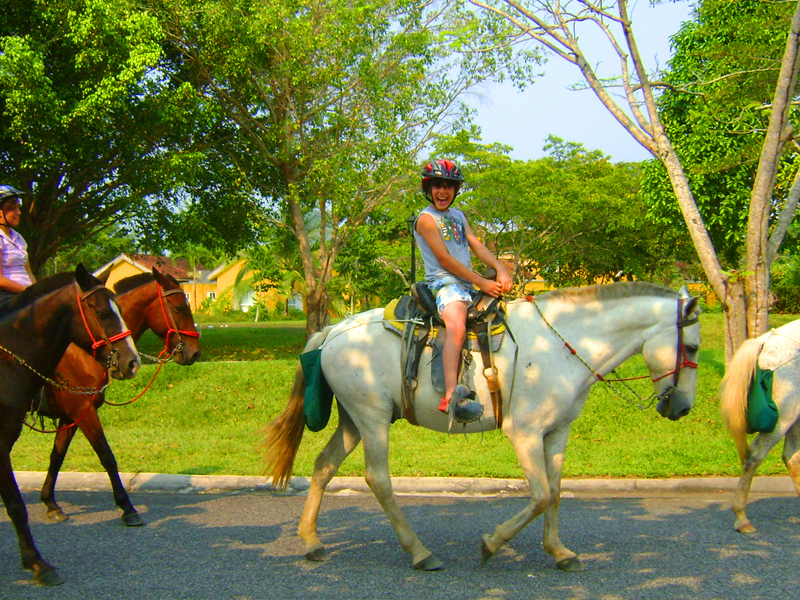 Witness the diversity of plants and animals while rowing the waters of the Pichilingo River. The safety of each kayak participant is of utmost importance to us. 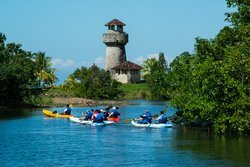 Each participant is provided with a life jacket for the duration of the tour and each Kayak is equipped with seatbelts. Tour Duration: 1 hour approx. *This activity requires a considerable amount of physical activity. We do not recommend this activity for visitors with back problems or walking difficulties. 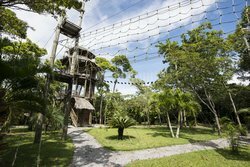 Witness Izabal’s unique landscape from a bird’s eye view as you soar over the San Juanes forest with a spectacular view of the Amatique Bay. The tour starts at our Spanish Wall then crosses a 60 meter suspended bridge, 15 meters in height. 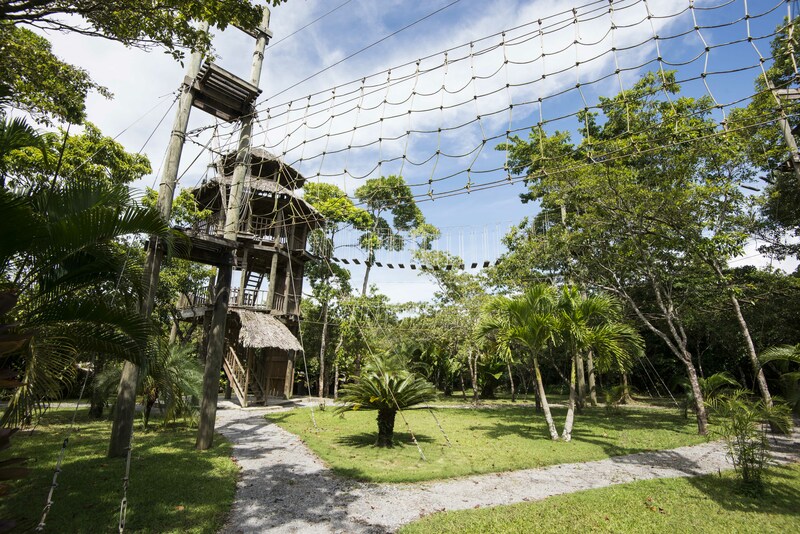 After you make your way through the butterfly observatory, you’ll enter the forest by cable! The tour has six lines ranging between 15 and 30 meters in height with distances ranging from 80 to 150 meters high. The zip line reaches speeds of up to 30 km per hour, firing your adrenaline. 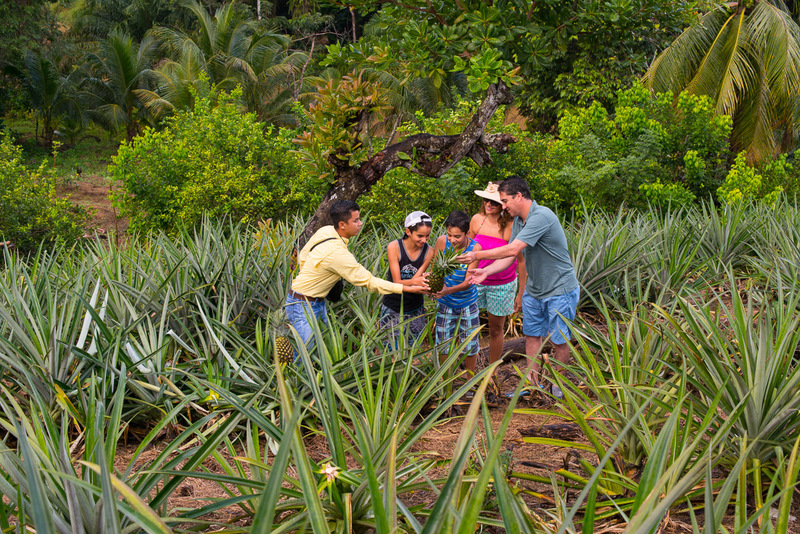 Fine herbs, pineapple, sugar cane, yucca, bananas and plantains are just some of the products of which you’ll get to see being cultivated. Our tour guide will take you through the history and interesting information about the region. Finally, you’ll have the opportunity to witness an impressive view of the Amatique Bay from a lookout point. A series of physical activities and mental challenges aimed to problem solving while strengthening learning processes and mindfulness thus reinforcing teamwork and cooperation competences. 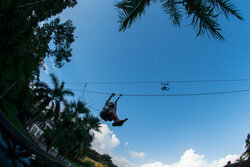 Leadership through defeating one´s fears and achieving goals is the main purpose of these fun and fulfilling activity. -Transportation by boat round trip.